Next to the adorable sign “You’ve made our day complete. 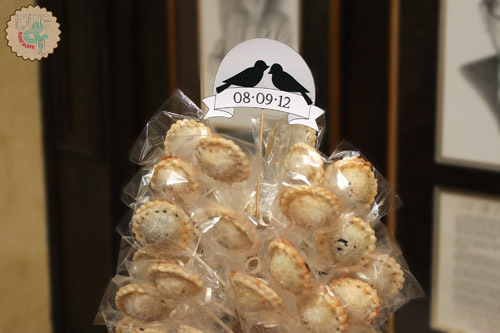 Now please enjoy a treat”, pie pops were the perfect treat for this couple’s rustic wedding. A custom display wrapped in twine with a love bird display topper completed this couple’s vision for their guest favors. 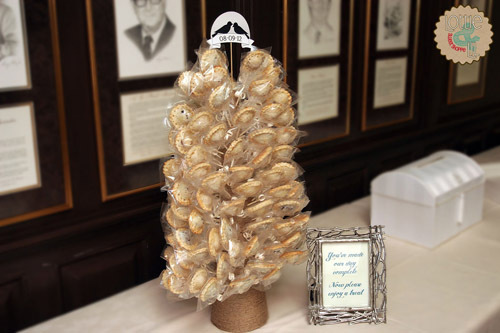 This entry was posted on Tuesday, February 19th, 2013 at 9:00 am	and is filed under Wedding Pops.